Physical Education teaching and research is fundamental to the physical and social health of our communities. 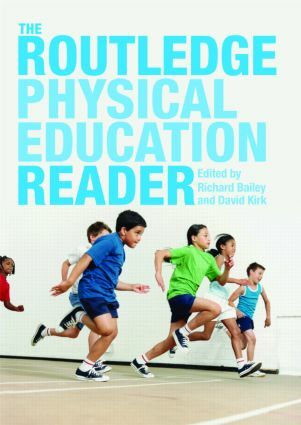 The Routledge Physical Education Reader presents an authoritative and representative selection of the very best international scholarship in PE, drawn from across the full topical range of the discipline. Addressing the most important topics in contemporary physical education, and representing a comprehensive ‘one-stop’ resource, The Routledge Physical Education Reader is essential reading for all serious students of physical education, sport, coaching, exercise and health. "a compelling overview of the growing sophistication of physical education scholarship internationally, and a great resource for students and scholars"
"With contributions from some of the foremost pioneers and innovative thinkers in the field of physical education, this Reader stands as a worthy successor to the 2006 Handbook of Physical Education. Its poignant focus on some of the most central issues and debates in our field and beyond suggests that this text will provide food for thought for newcomers to the field and senior scholars alike." "An invaluable resource for undergraduate and postgraduate students in physical education … essential to assisting students and their teachers understand physical education in its social, political and cultural context, so that they might shape their own ideas and build an understanding of the field informed by the debates, rather than simply being reactive to current rhetorics." Jan Wright, Associate Dean, Faculty of Education, University of Wollongong.